When it comes to filing taxes, keeping track of your important documents can help save you a headache in the long run. 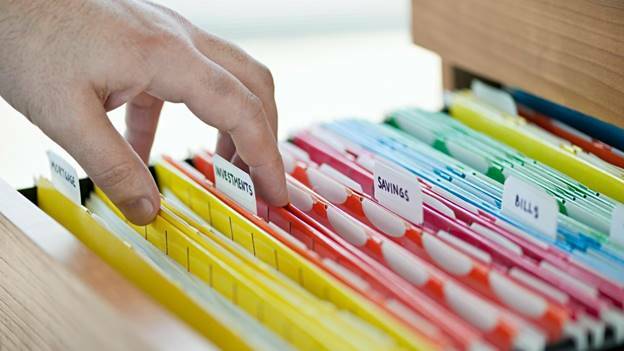 While no one likes to keep track of piles of paper, there are several documents you will need to keep indefinitely. Keeping track of specific documents can help you save money in the long run, especially if the IRS decides to audit you at some point in the future. Here’s a list of important tax documents you should always keep. Don’t Lose These Tax Documents…EVER! While the IRS does have a certain limit when it comes to auditing your returns, there are exceptions to this rule. For that reason, you need to keep copies of the following documents. The time limit for auditing returns is generally three years from the return due date. But, if the IRS thinks you didn’t file a return at all, there are no restrictions. If the IRS makes this claim, the burden of proof is in your hands. Therefore, you need to provide documentation showing otherwise. That’s why keeping copies of your tax return is essential. There are two types of proof that would help you in this situation. For paper returns, you’ll need to provide a certified receipt from the mail carrier you used. For electronic returns, you’ll need to keep a copy of the email acknowledging that your return was accepted. This goes for both federal and state returns. If you own your own home, this is probably your largest asset and has the greatest impact on your tax bills. As long as you own your home, you should keep a list of sizeable capital improvement expenses. You should also keep these documents for at least three years after you report the sale of your home. If certain conditions are met, the tax laws allow up to $250,000 of gain on the sale of your principal residence. If the conditions aren’t met, you may be faced with a taxable gain. To minimize the risk of this, you need to maximize the basis of your home. You can do this with capital improvements. These include things like a new roof, new windows, an addition, adding a swimming pool to your property, etc. Outside of your primary residence, you need to keep records related to any other properties you purchase or sell. This can include a second home, rental property, or things like stocks and art work. As with home improvements, you need to keep track of the money you put into your other property so you can identify gain when you sell. Not doing so can result in you having to pay unnecessary taxes. If you inherit property, your tax basis will change. The tax basis for inherited properties becomes the value of the property as of the date the person who left it to you passed away. The value of the property will determine whether you need to report on a state or federal level. Talk to your financial advisor about how to handle inherited property and determine what your tax basis will be. As with all other tax information, you should keep documentation from the date you inherited the property until three years after any sale. The bottom line when it comes to tax documentation is that there are several documents you need to keep if you don’t want to become inundated with unnecessary IRS fees. Record-keeping can be burdensome and monotonous, but you can create a system that works effectively for your home. Create electronic records that are kept in a cloud or online database to reduce paperwork and storage. If you keep the proper documentation when it comes to your taxes, you will save yourself time and headache if you ever need them in the future.